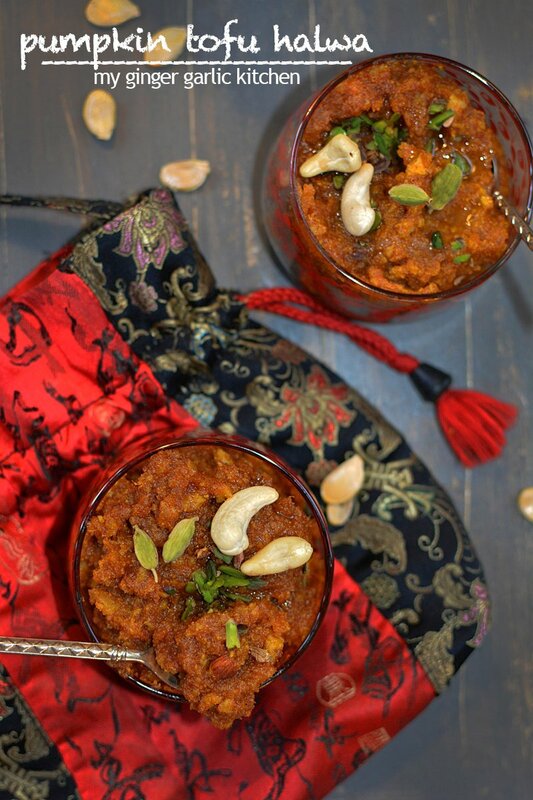 This Pumpkin Tofu Halwa has a nice aroma of cardamom with the slightly roasting flavour of tofu, and creaminess of pumpkin. When they all came together at one place, it was like a match made in heaven. Woohoo! Festivals are here, and today is the very first day of Diwali Festival. For those who don’t know about this festival, it’s called DHANTERAS. Dhanteras is the festival for well being, prosperity & wealth. And to celebrate this, what could be better than a delicious dessert. And for today’s festival I already prepared my sweets yesterday night, and started enjoying them today. 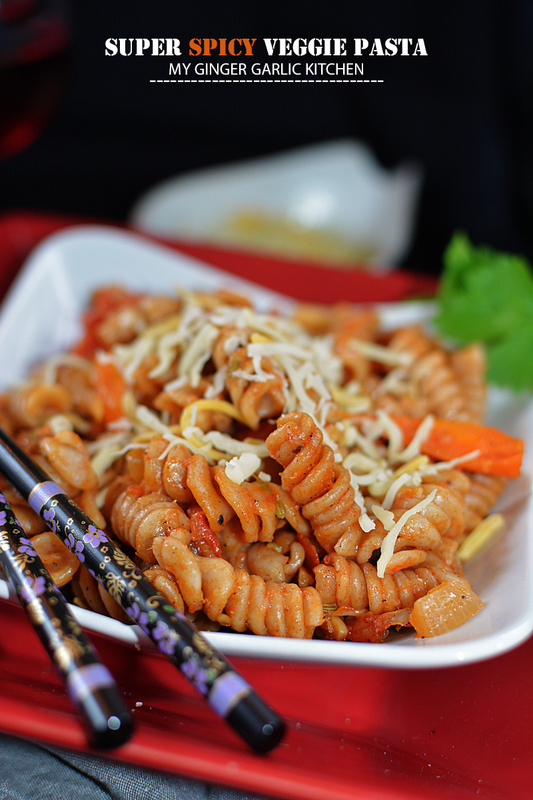 Festivals are always about good and exotic food, usually the kind which we don’t make in day to day cooking. Yesterday, when I visited the grocery store for regular shopping, I saw a beautiful fresh pumpkin there. 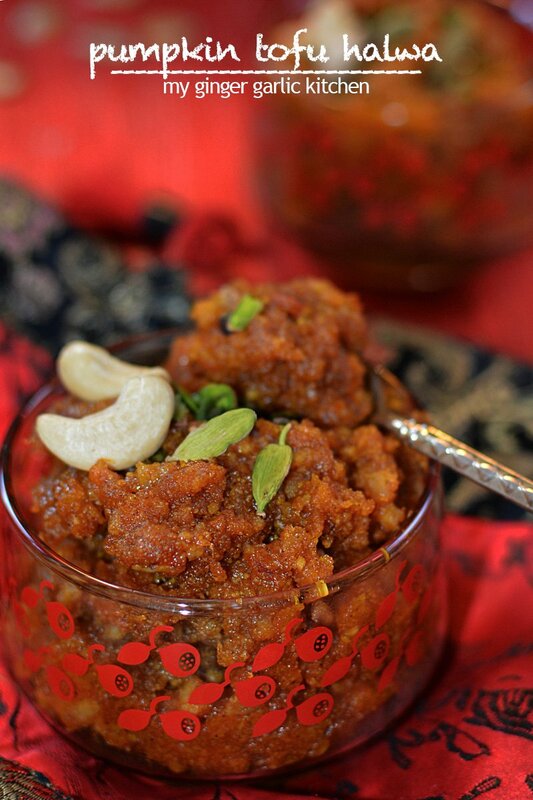 The first thought that came to my mind was, “Pumpkin Halwa as a Diwali dessert. Yeah, sounds awesome”. Well, I was super elated about preparing this fruity halwa. 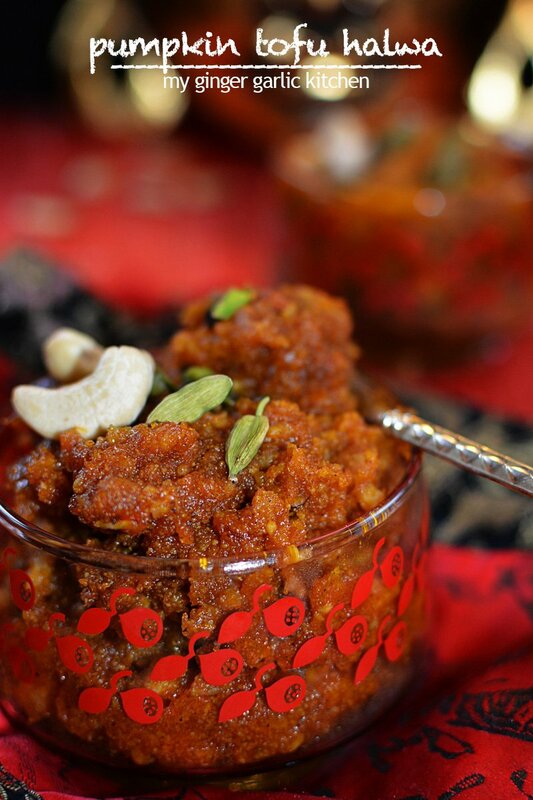 Now you must be thinking, Pumpkin Halwa for Diwali Dessert? For some it might not sound interesting. Even for a second, I thought the same, but at second thought I realized why not? Now I was very clear that I will make Pumpkin Halwa without giving it a second thought. Here came the bigger question, what should I do to make it more elegant, more desirable and more unique. Finally, I reached home without realizing that I was in a deep thought. I checked my fridge, and got some tofu in there, which I bought the other day. 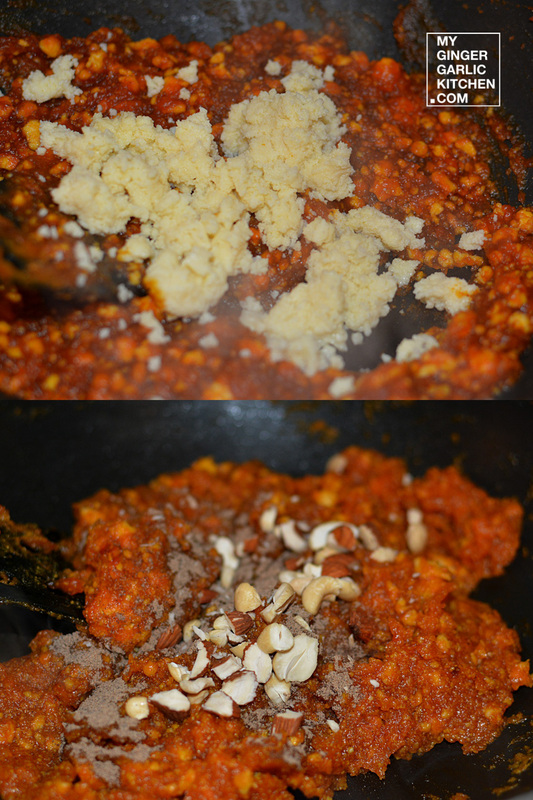 When I was toying with the idea of making Pumpkin Halwa, my mischievous mind gave me an incredibly awesome Idea. Yes! The idea was to add the Tofu to Halwa, and that was my twist to it. That was it, everything was clear. 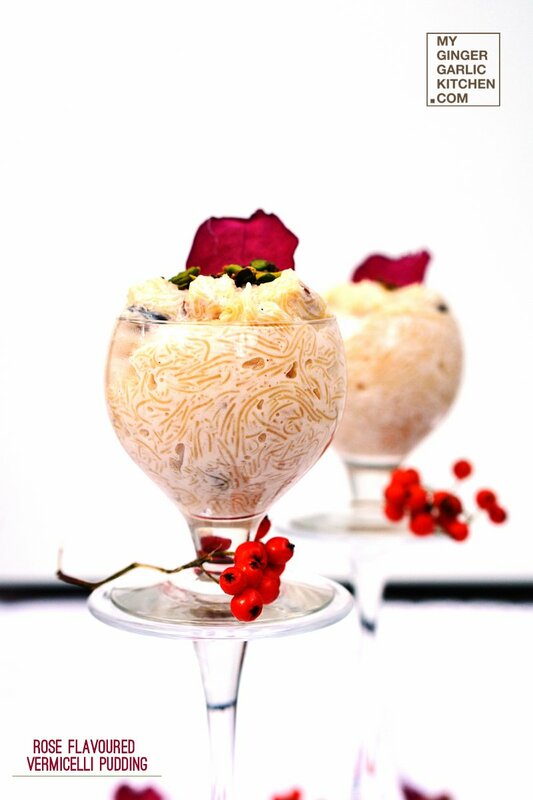 I could almost feel the cream-buttery-nutty Halwa melting in my mouth. I couldn’t wait for long, so I started right away then. And the outcome was truly remarkable. A nice aroma of cardamom. Mmmmmmm with slightly roasting flavour of tofu, and creaminess of pumpkin. When they all came together at one place, it was like a match made in heaven. I just felt like this was appropriate Festive food, and it could not be better than this. It turned out the Pumpkin lovers dream. What do you think, I learnt at the end of the day? I learnt festivals are here to teach us something good. And Diwali is all about illuminating the life, new ideas, the whole world around us. I have lighten up my new idea today. And satisfaction of accomplishment is such a great feeling to have. 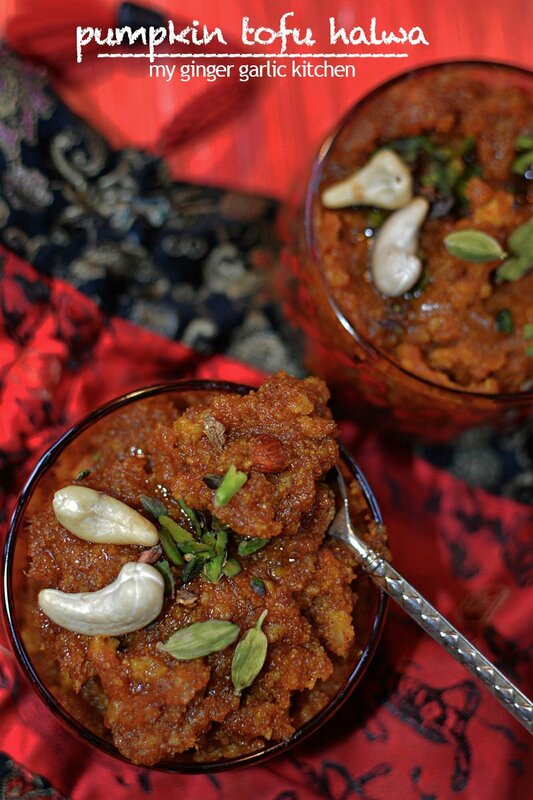 Let’s jump into the recipe, and learn how I prepared my adventurous Pumpkin Tofu Halwa. Take a microwaveable safe bowl. 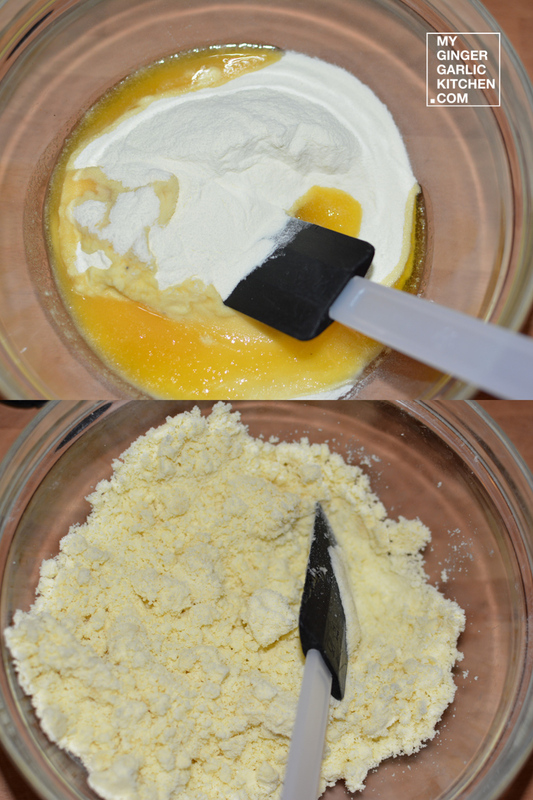 Add milk powder, and clarified butter to it, and mix well to make crumble. Add milk to it and mix well again. Cook this on high settings in microwave for 2 minutes. Stir well, and cook again for 30 seconds. Stir well again, and cook for 30 more seconds. At this point khoya would be thick, and it would be more thicker once cooled off. Let it cool completely, and store covered with cling film in refrigerator. After that you can crumble it for recipes. Heat 1 tbsp clarified butter in a pan. Add crumbled tofu to it, and fry for 3-4 minutes. Remove from pan, and keep it aside. In the same pan, add 4 tbsp clarified butter. 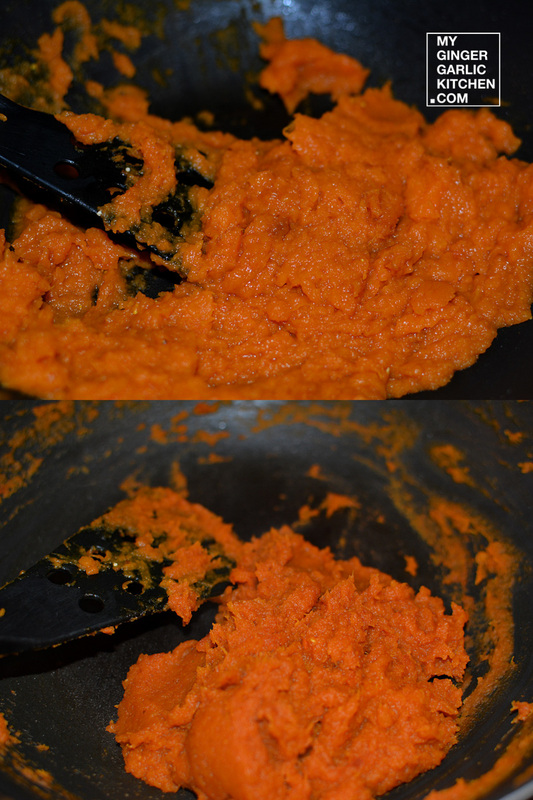 Add pumpkin puree to it, and cook till the puree is reduced. This would take about 8-10 minutes. Add tofu, and cook for 5 minutes. Now add sugar, and continue cooking until it reduces again. Add khoya to it, and cook for 7-8 minutes. Add cardamom powder, and chopped nuts to it. Cook for 2 more minutes. Serve hot & enjoy! 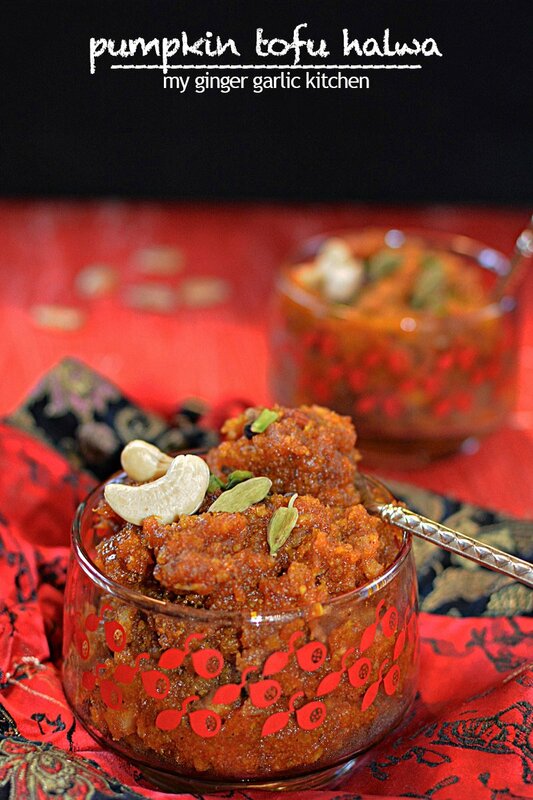 Exotic Pumpkin Tofu Halwa. A nice aroma of cardamom with the slightly roasting of tofu, and creaminess of pumpkin. When they all came together at one place, it was like a match made in heaven. Take a microwaveable safe bowl. 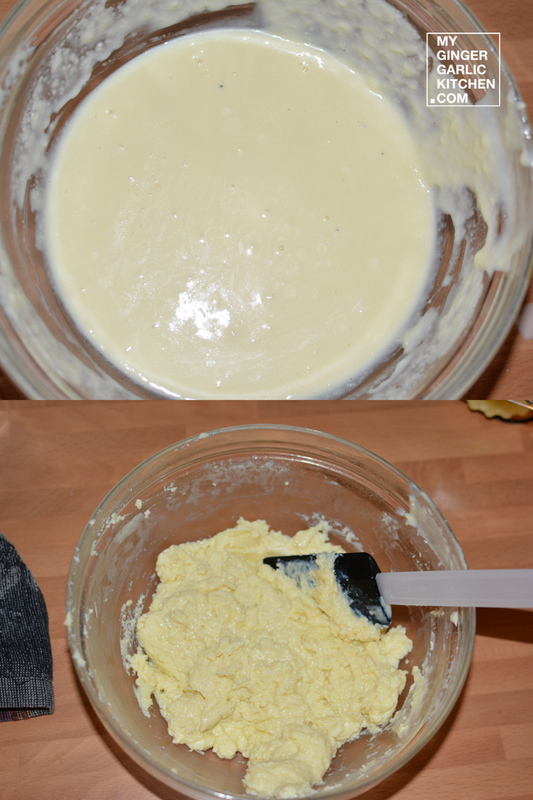 Add milk powder, and clarified butter to it, and mix well to make a crumble. Add milk to it and mix well again. Cook this on high settings in the microwave for 2 minutes. Stir well, and cook again for 30 seconds. Stir well again, and cook for 30 more seconds. At this point, khoya would be thick, and it would be thicker once cooled off. Let it cool completely, and store covered with cling film in the refrigerator. After that, you can crumble it for recipes. Heat 1 tbsp clarified butter in a pan. 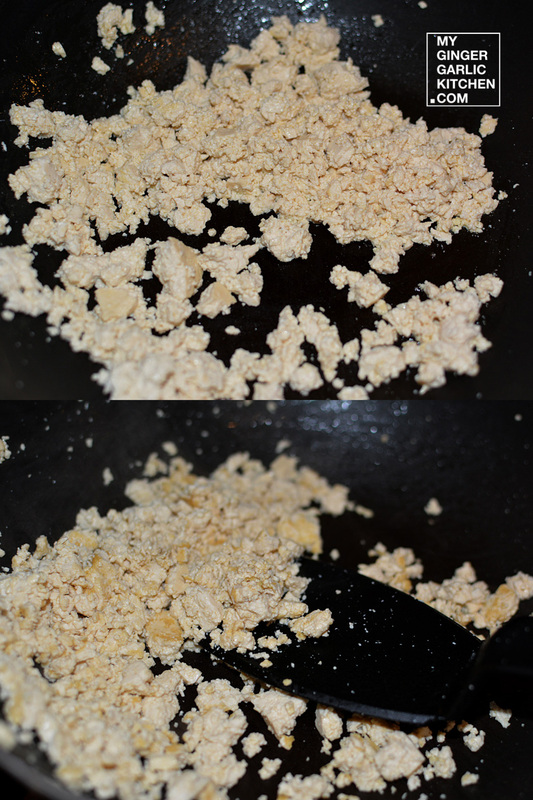 Add crumbled tofu to it, and fry for 3-4 minutes. Remove from pan, and keep it aside. In the same pan, add 4 tbsp clarified butter. 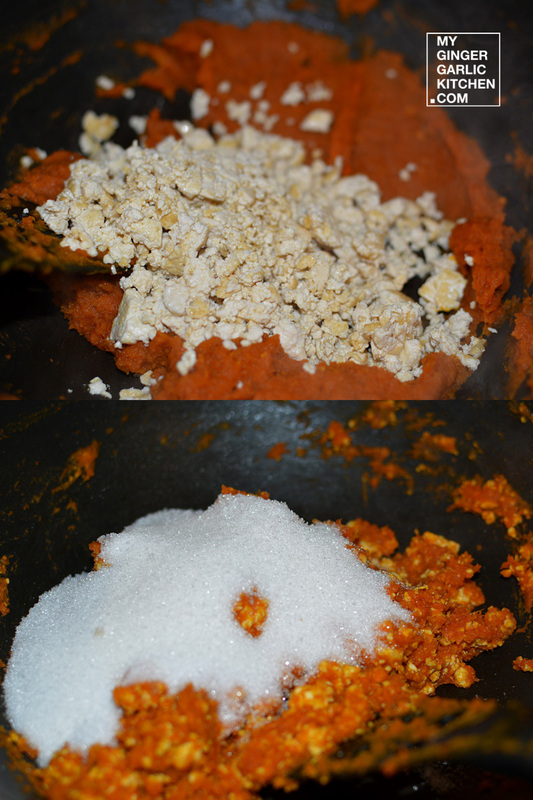 Add pumpkin puree to it, and cook till the puree is reduced. This would take about 8-10 minutes. Add tofu, and cook for 5 minutes. Now add sugar, and continue cooking until it reduces again. Add khoya to it, and cook for 7-8 minutes. Add cardamom powder, and chopped nuts to it. Cook for 2 more minutes. Serve hot & enjoy!